Cardigans have been a long-term guilty pleasure of mine. I love them - like, truly love them. A great cardigan really brings out the inner Grandma in me and now they're in hot demand (at long last!) thanks to Miuccia Prada and her heavenly AW17 collection - I mean how major is this intarsia style! And the high street has followed suit with oh-so many dreamy styles that I simply can't get enough of them. 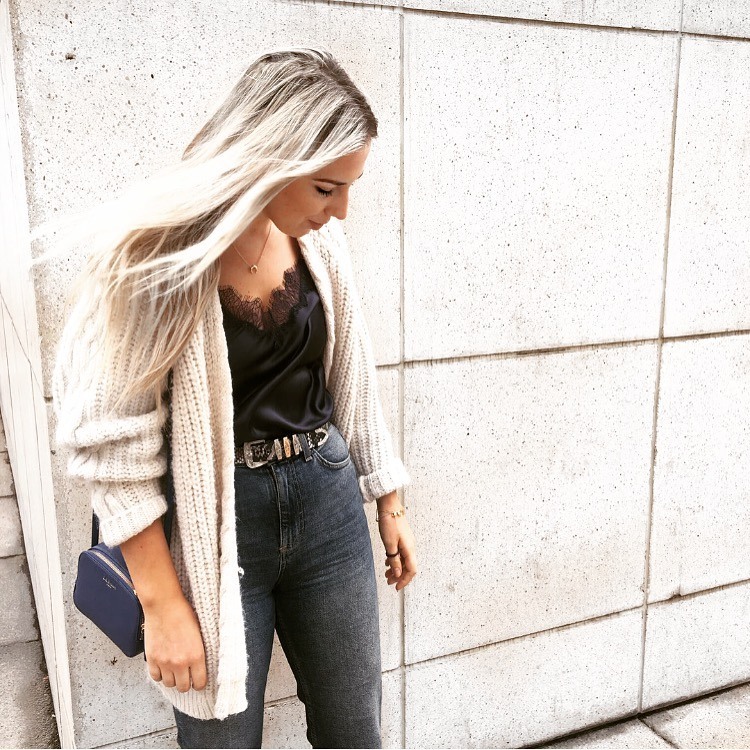 Not only is a cosy cardigan practical in these chilly months it provides a great option for the weird hot/cold situation that we all face daily. Going from hot to cold with ease. Whether commuting or suffering from bizarre office air-con they're such a great, and easy, throw-on-throw-off option. Whether you're keen to replicate a more retro and throwback 70s vibe or a cleaner cut and more laid-back feel there's a style for everyone. I love to wear mine with contrasting textures - like a silky cami and dark wash jeans. Opting for an oversized style to optimise on comfort and to really play with proportions. If there's one thing to know about me it's that I bloody love a good pair of boots and, in my humble opinion, there's no better way to get into the spirt of autumn than by starting from your ankles-up and picking your pair for the season. 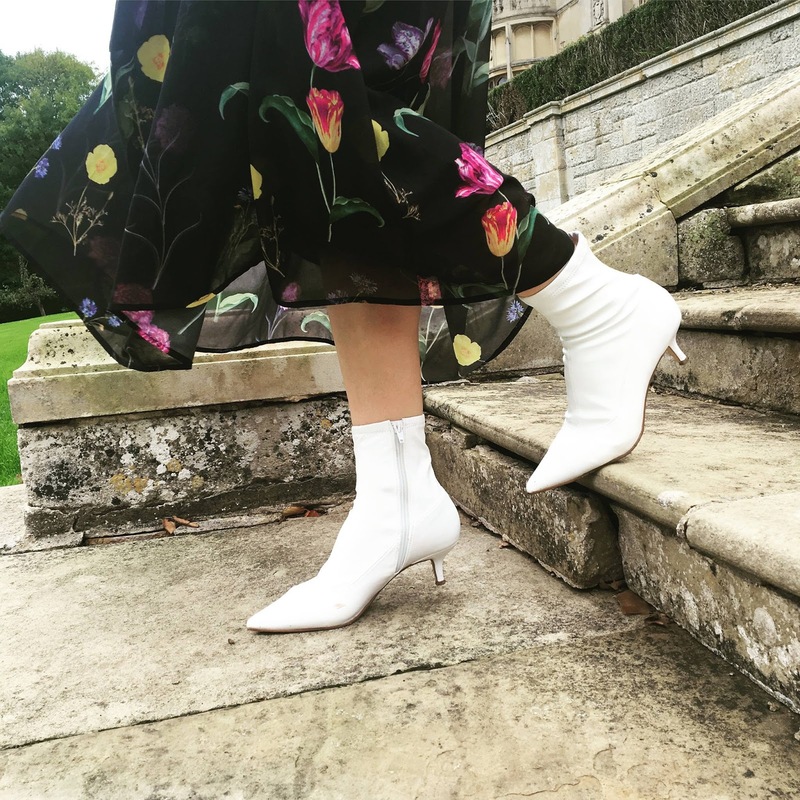 Whether you're into trusty block-heeled styles or are bold enough to try this season's much-loved-much-hated sock boots (why they couldn't think of a better name for these is lost on me...) great pairs come in every colour, texture and height. And whilst boots are a year round staple of mine they become part of my daily uniform, from weekday to weekend. Day-to-night, you can mix it up with shapes of both toes and heels and details. If sock boots aren't quite your cup of tea, no fear. 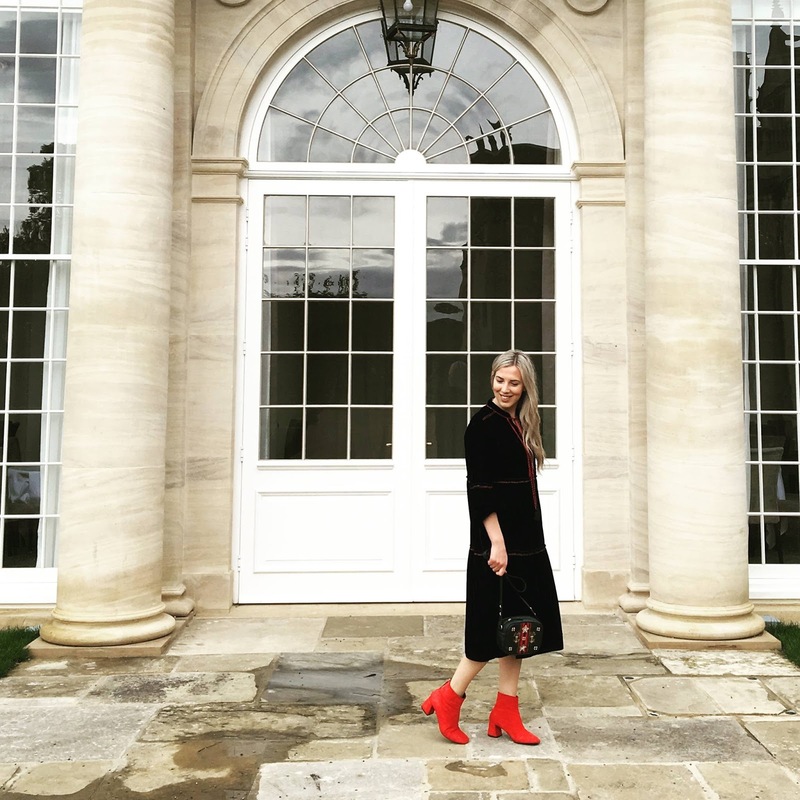 I've compiled a little edit of the best boots from the hottest five trends this winter that you can shop and wear rn. I'm an absolute sucker for a good basic. And, as the morning's get even darker and colder it's the basics that I rely upon each morning when I'm too cold to try on three options before heading out the door. I've had a little roster of beloved basics that I've been working through all year long and I thought that now they're pretty tired and tested I'd share the best of the best basics with you guys because, I'm pretty basic. When it comes to the classic white tee I don't feel like I ask for much but I find very, very few stores on the high street that can give me exactly what I want. To say that the perfect, effortless white tee is hard to come by would be a major understatement. All I look for is a tee that isn't see through, one that's thick enough not to flash my bra to the world: one that's soft, and slightly oversized - I don't like a tee that sticks to me. I like a boyfriend fit as I find a looser arm to be the most flattering of styles. Because of this I've worked my way through pretty much the entire high street's offering of tees for women and have concluded that you literally have to borrow from the boys to get the perfect one. The perf one for me is Gap's essential short sleeve tee. Available in almost every colour under the sun it's 100% cotton and under £10 - you can thank me later! 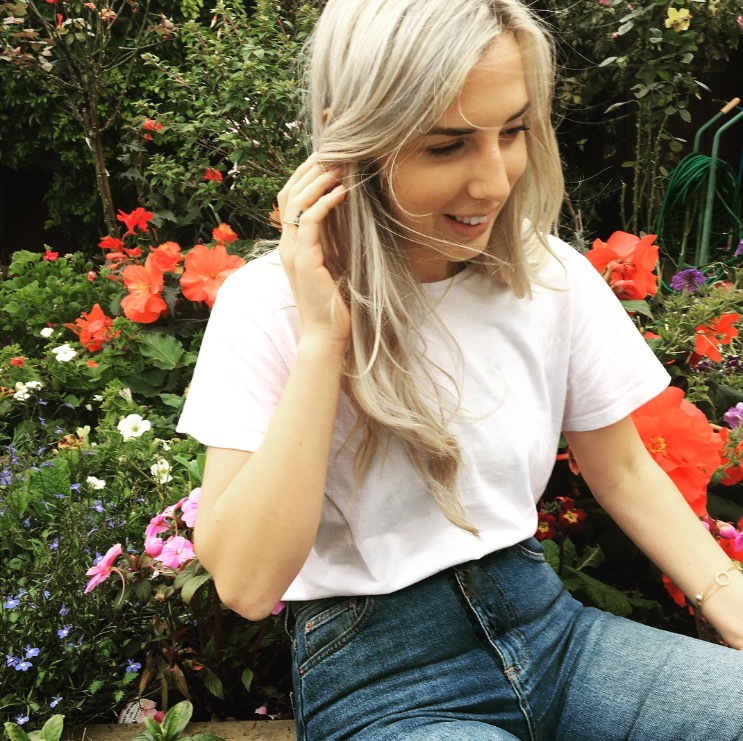 I think I might dedicate a whole post to my most beloved pair of jeans as I'm sure you'll all know from the many, many posts featuring them how much I love my light wash M&S jeans. So, for now I'll share my favourite mid-wash style - the Dree. Jeans, in my opinion, should accentuate all your best bits - whether that's your waist, bum or legs (or all if you're lucky!) and the Dree does this for me. I picked up this pair about four months ago and haven't really stopped wearing them since as not only do they look great with loafers they work so well with an ankle boot too. The Dress is comfy, washes well and is oh-so reasonably priced! Whilst September's come and gone I feel as though autumn is finally just hitting, for me at least. I walked through more piles of fresh, crisp orange leaves today than I did yesterday and my oh my autumn, ya pretty damn pretty. I'm 100% a summer gal through and through but these cosier nights and great TV shows are week-by-week getting me to enjoy the colder days a little more. And, whilst I'm still not ready to pop on a pair of tights - just yet - I'm getting more and more into cosier more transitional dresses. I'll have definitely shared on here how I used to liveee in dresses and have been trying to get back into them since getting a little too comfortable in jeans and a shirt over the last two years. This is my attempt for autumn. The first is this dreamy rich velvet dress from John Lewis' AND/OR collection which I cannnot get enough of. 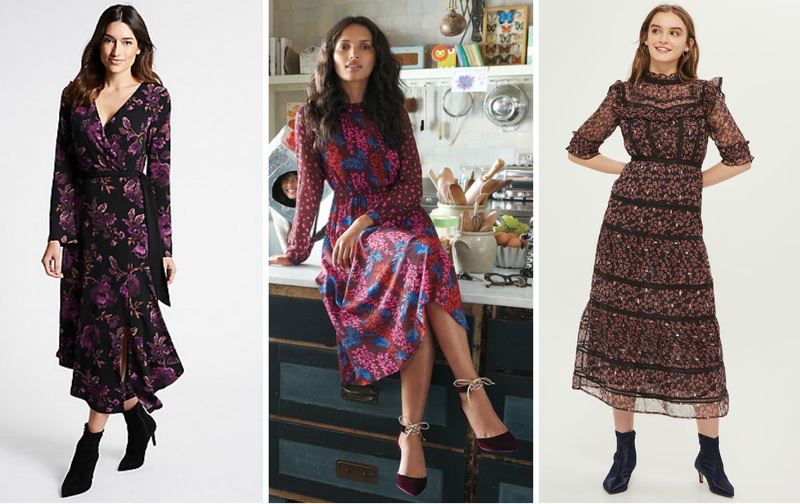 It's got gorgeous tiers which give it a gorgeous boho vibe, complete with puff sleeves if you lived in midi gypsy dresses all summer long then you'll love this! Not only is it an easy enough throw-on-and-go option it's smart enough to work from the office to brunch with pals at the farmers market on the weekend. I love the cut and detailing - especially the rich red stitching and tassels, making it so easy to add more colour into the look with a bright boot or tonal bag.